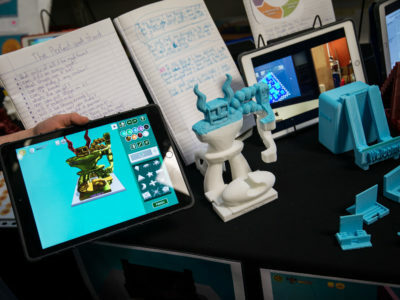 Think 3D printing and 3D design is just for teaching students technology skills? Think again. 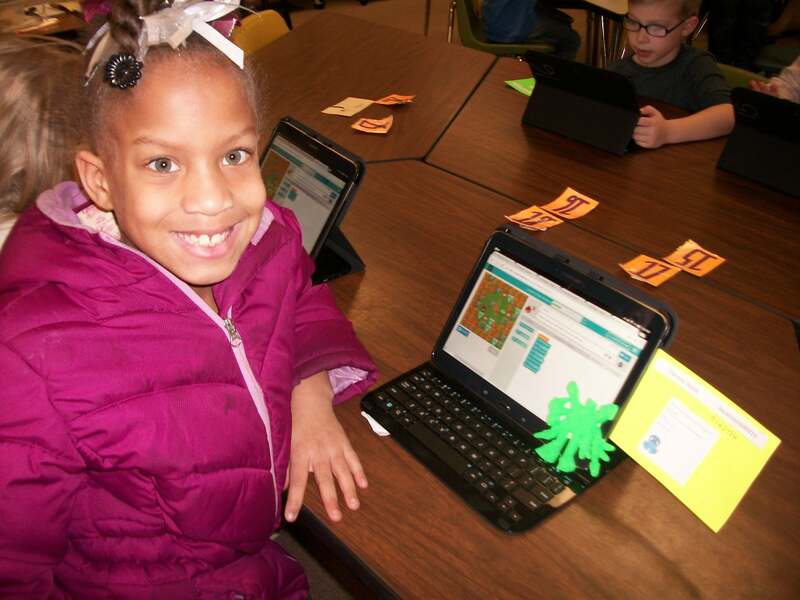 With guidance from Sandra Wiseman (above), a library media/technology integration specialist, 2nd-grade students at Woodsdale Elementary School found an authentic way to develop literacy and practice their communication skills with 3D printed ‘not so flat’ Flat Stanleys from the beloved American book series. 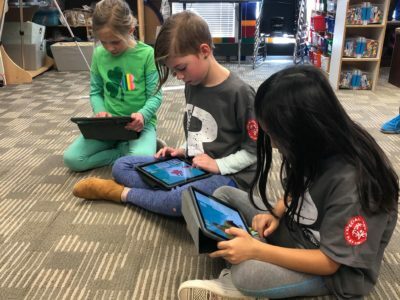 Students were also able explore digital citizenship and collaboration by exchanging designs with students from a school in Michigan and taking their Flat Stanleys on adventures around their local community. Read this inspiring story. 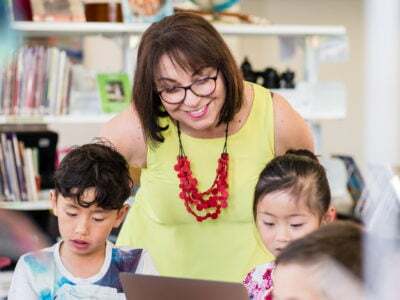 Sandra Wiseman, the library media/technology integration specialist at Woodsdale Elementary, is passionate about the use of technology in learning. 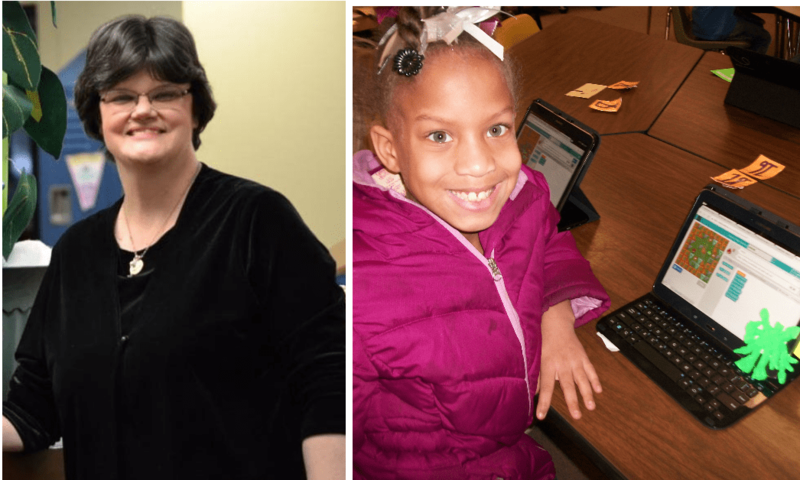 Even though computers were just beginning to be used in schools when she first began teaching, 35 years ago, she has adapted and changed her approach so that her students study in a forward-facing learning environment. Last year, she had the opportunity to be a part of the GE Additive Education Program 2017-18. This is the first year she used 3D printing and design in her classes and she is looking forward to having her students participate in more projects in the future. The applications of 3D printing in education are varied: 3D printing is not just for teaching technology. 3D design and printing allow for the application of the principles of Design Thinking and maker pedagogy to all areas of the curriculum. In our interview with Sandra, she explained how she has been using 3D technology to support literacy development with her 2nd-grade students. 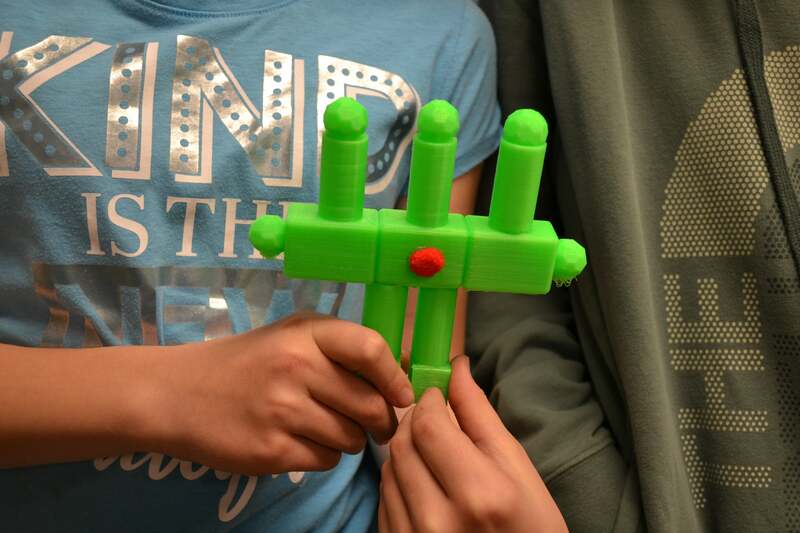 For her, 3D printing was the hook that got her students excited. The students were fascinated by the technology and they loved seeing the transformation of their design from the computer screen into a physical object. Sandra harnessed the excitement the students had for 3D technology and assigned them a communication task: students had to 3D design a character using Makers Empire and then write a history for this character. 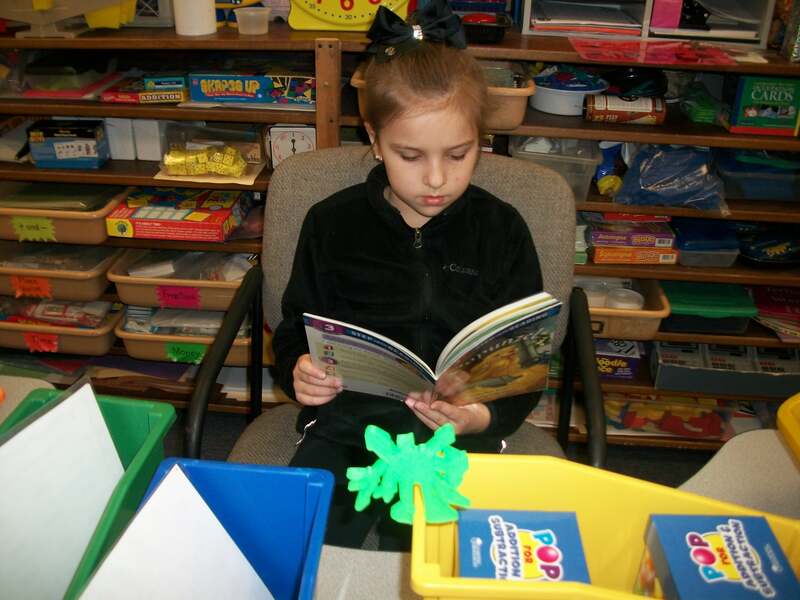 But the best part was that Woodsdale Elementary was teaming up with a school in Michigan, whose students would print out Sandra’s students’ characters and take them on adventures – a wonderful twist on the traditional Flat Stanley activity. So students at both schools were to design their own Flat Stanleys – who would not be very flat at all! As the designs were being sent to other students, there was an authentic reason for writing a character history, for making it clear who this character was and what they like to do. So 3D technology created a reason for the students to want to write instead of an assignment where they had to write. And as we all know, engaged students learn and perform better! Once Sandra’s 2nd-grade students had designed their characters and written their history it was time to make the exchange! They sent off their 3D Flat Stanley designs and received the 3D Flat Stanley designs created by the class of students in Michigan. Each school printed the designs created by students from the other school and the exchange was entirely digital. 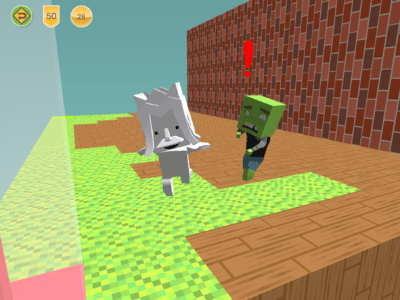 To keep in touch about the adventures of their 3D Flat Stanleys, the students had to become digital communicators. As they took the Flat Stanleys around the school and on their field trips they wrote about their adventures so they could share them with the students in Michigan. 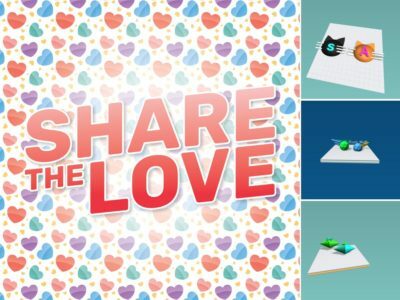 By blogging back and forth about the adventures of their 3D ‘not so flat’ Stanleys, the students developed their communication skills and explored what it means to be a digital citizen. Additionally, Sandra’s students learned about life as a student in Michigan, developing a wider view of the world around them. 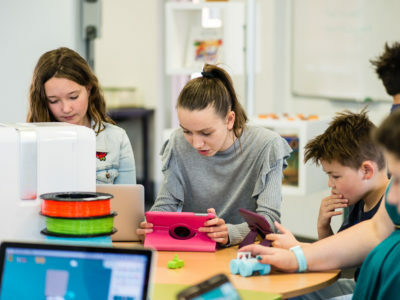 The ease of Makers Empire removes the technology barrier for younger students to use 3D design and printing to facilitate an authentic learning experience. Students are given the freedom to implement the Design Thinking process as they create, without the frustration and restrictions of difficult design software. Thus, teachers can layer curriculum driven learning onto 3D technology. 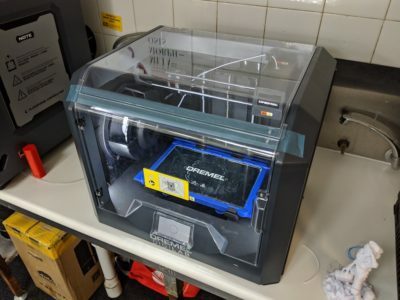 In this example, Sandra used 3D printing to improve literacy, practice communication and introduce her 2nd-grade students to the responsibility of being digital citizens. It was wonderful to learn about how Woodsdale Elementary School has embraced the power of 3D technology and Design Thinking to engage students in authentic learning. We especially love the creative use of the ‘not so flat’ 3D printed Flat Stanleys. A big thank you to Sandra and all the students at Woodsdale Elementary for sharing your story with us. We are excited to see what you come up with next!